It could be Monday and it could be Azofra but it hardly matters. We are definitely in La Rioja because there are endless vineyards outside and endless Rioja in the bars. 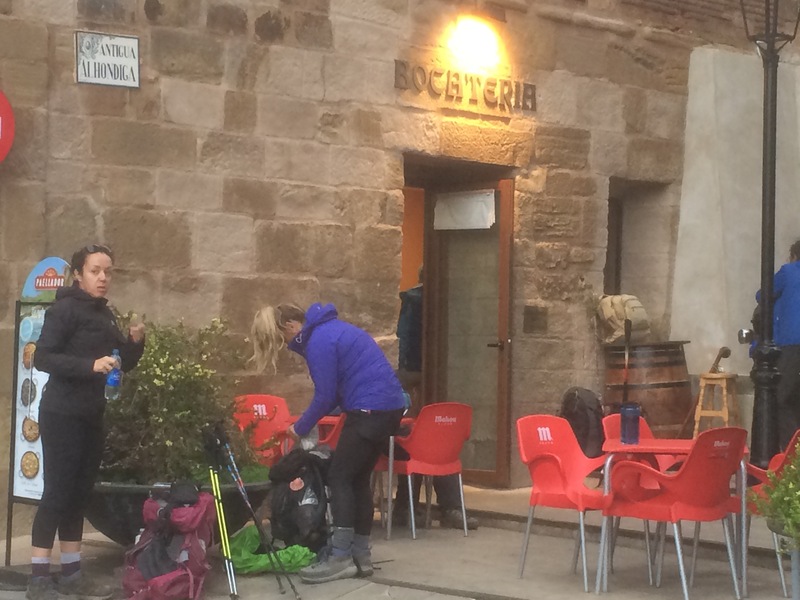 The Camino divides between the morning pre sunrise breakfast and walk until early afternoon and then the afternoon spent in the right bar serving the pilgrim menu. But best of all is the joy of seeing so many new friends arriving in the bar. Nothing planned but somehow we all end up together again. 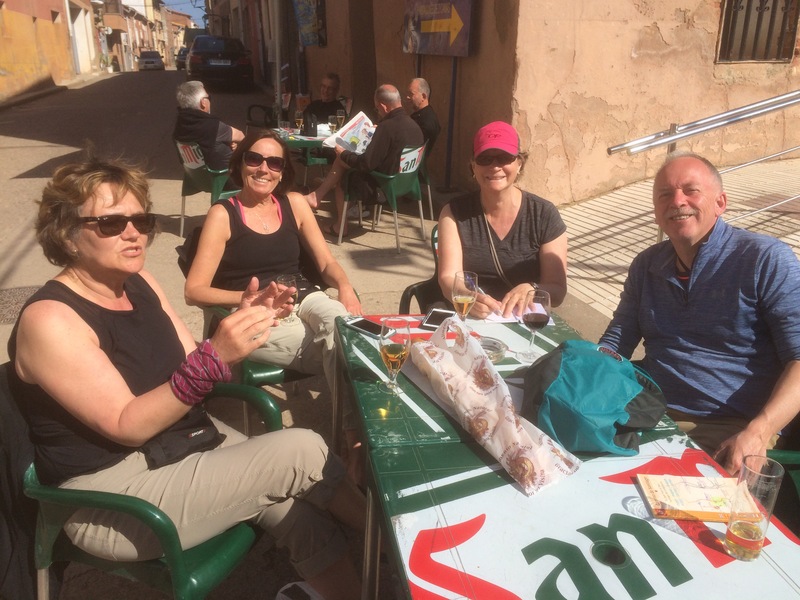 Today, Manfred and I arrived in Azofra (pop 250); hostel 60 beds. 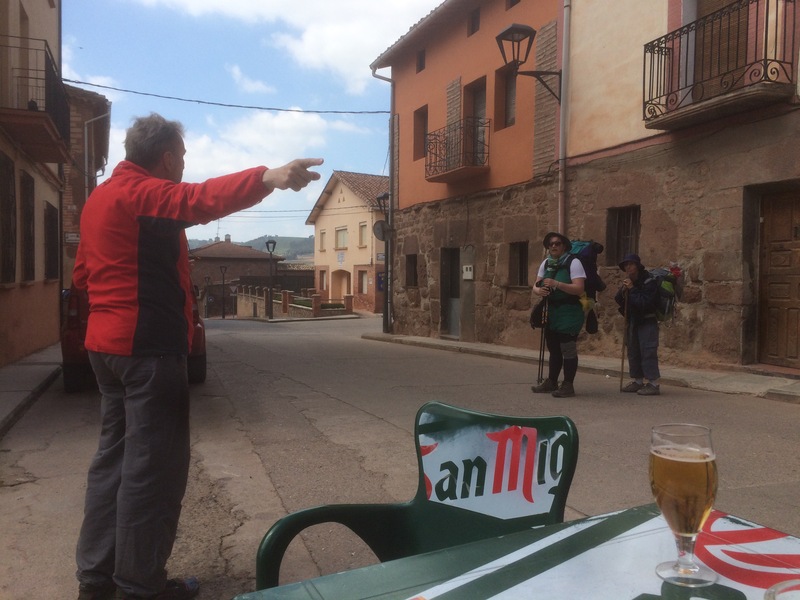 While I was getting the beers he was joined by a fellow German girl from Dresden who is just starting her Camino and soon the familiar and welcome faces of the four Canadians, 2 Germans, Brazialian and USA lady had joined us as the tables were pulled together in the road while tractors passed. The Australians from Virgin Australia stopped earlier but will no doubt catch us up soon. After several nights of crowded dormitories not knowing whether to take the top or bottom bunk, tonight we have a hostel with little twin bedded rooms. This is real luxury after lying under a substantial Italian man last night. 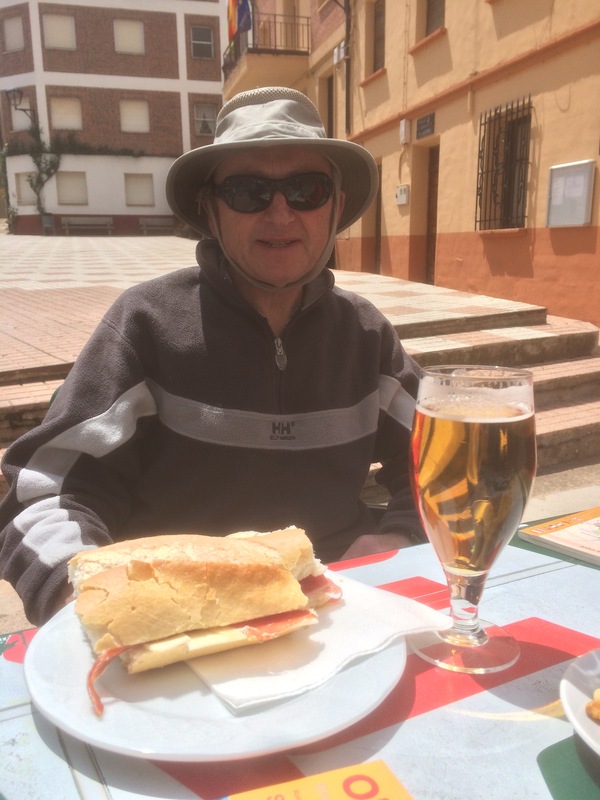 I still have two working feet which is giving me hope as we limp on toward Burgos.